I feel so lucky and pleased that Ducktoes has partnered with the Spectrum Advantage of Autism Calgary. 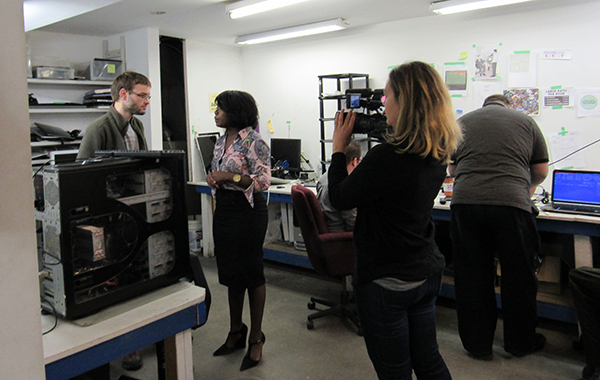 We were even filmed for a special news story on CBC. We’ve hired awesome computer repair techs through them who are absolutely wonderful in fixing laptop and desktop computers and soldering motherboards, retrieving data, and many other tasks. We enjoy working with them very much. One of these techs, I’ll call him Steve, did a fantastic, even miraculous job with a ssd, i.e, a solid state drive. A client brought in the broken drive that unfortunately contained three years of baby photos on it. They were not backed up anywhere else. 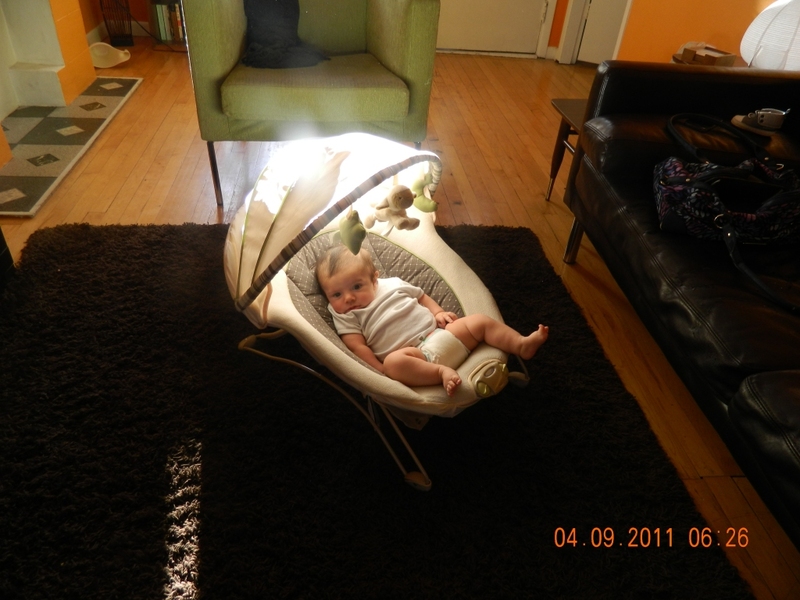 So the client had lost all her baby’s photos and was devastated. Before coming to Ducktoes, she had taken the drive to a couple of other data recovery labs including a clean room, with no luck. Our senior data recovery expert, who usually can get data off of anything, also couldn’t retrieve the data. 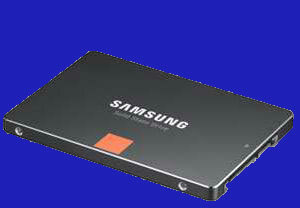 Here is a solid state drive. We do data recovery everyday. Steve asked me if he could take the drive home and work on it. I agreed, thinking it couldn’t possibly make the situation worse. The next morning when Steve came to work he said, “Cathie, I’m sorry but I’m going to be a little tired today. I stayed up all night working on the ssd but I got those baby photos.” I was so surprise and happy I hugged him. He said he’d soldered the circuitry and got it to work again. When the client found out, she also wanted to hug him. He said no. He did accept a well earned tip from her. Steve has also retrieved data off a client’s iphone, with a year’s worth photos from the client’s trip to Europe, when no one else could. One afternoon, the son of a family friend brought in a Macbook to the shop. He said his girlfriend was crying. At first I thought he was asking me for relationship advice (I’ve known him all his life). But he laughed and said no, his girlfriend spilled coffee inside the keyboard and had an assignment due on Monday. This was Friday. The laptop wouldn’t even turn on. (By the way, never try to turn on a laptop after a liquid spill until it dries out.) He showed me how you could still hear the coffee sloshing around inside it. He’d also taken it the Mac store and another computer repair shop but they said that nothing could be done. He needed to replace the Macbook. I assured him that laptop hardware techs could at least get the data off the hard drive, including her assignment, and we’d try to fix the Macbook as well. Well, Steve took the Macbook and 45 minutes later, not only did he have the assignment, the whole Macbook was working again. I don’t even know how he took the screws out and replaced them in 45 minutes (there are a ton of tiny screws in a Macbook) but he did. Again, everyone was overjoyed and impressed. Steve is an awesome tech and a wonderful guy to have around the shop, warm, funny, and hard working. Really you couldn’t find a better tech. He also contributes to the warm, supportive, hard working but fun atmosphere we have built at the shop. We have awesome techs and staff, and he is no exception. If you’d like to bring in your computer or device to our Calgary computer repair shop, we’d love to help you too. 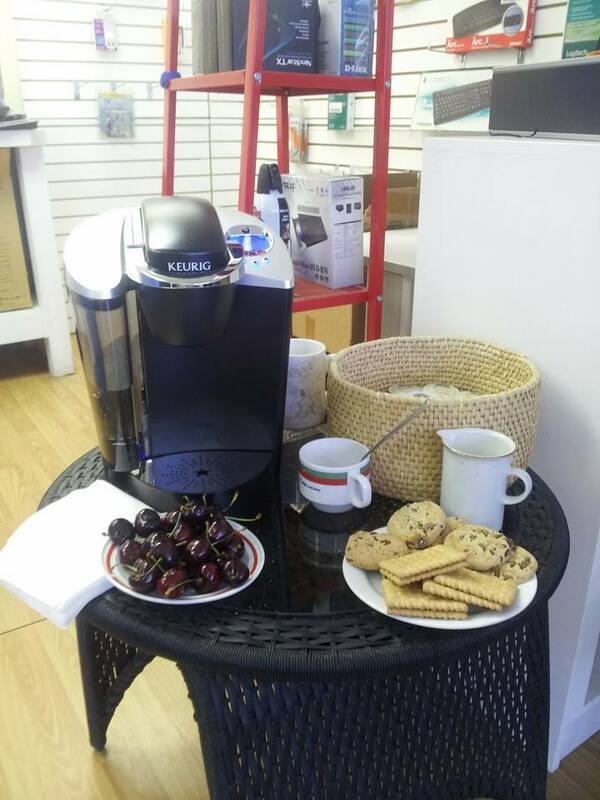 We have a new Keurig brewer at Ducktoes, so come have a coffee, tea, or hot chocolate when you stop by the shop. We’d love to see you anytime. Also we’re excited about our source of Keurig K-cups. It’s Dawsco Coffee Services new online-shop specializing in K-cups. We have hot chocolate and tea too. It is so easy to order K-Cups from them and the prices are really reasonable, much cheaper than in any store. They arrived the next day and the shipping was free. I really like the taste of the coffee, especially for the Columbian. Here’s our repair shop if you haven’t been in already. I’m so excited. Ducktoes Calgary Computer Repair has made Yahoo news. David Trigueiro wrote the press release for me and I submitted it to a Press release service but was surprised it made it to Yahoo News.